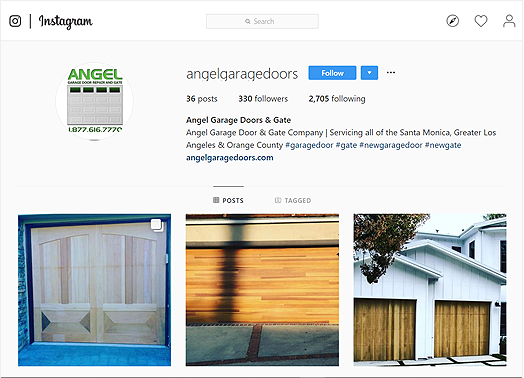 Welcome to Angel Garage Door Repair and Gate, nation’s leading garage door repair and gate repair service provider. 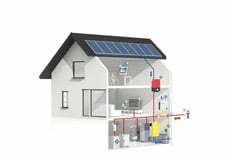 We also provide green energy solutions, including solar! We have a high rating user review service from all popular social media platforms. We provide quality and speedy services, from repairs to installations we are your to go to spot. We are open late night and most holidays, and perform emergency garage and gate services. Give us a call today @ (877) 616-7770. 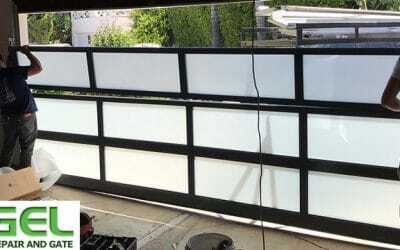 Garage Door Repair and Gate is open 24/7 for all garage door and gate repair emergency needs. We have been in service for over 30 years, servicing all Commercial and Residential garage doors and gates, in multiple states and cities. We provide FREE estimates on most of our repairs, including exclusive discounts for all of our online visitors. Our company offers a maximum 2-hr response time and is ready when you call. We are available during the weekends, including Sunday for all Garage and Gate Repairs, at no additional fees! Our experienced are standing by to help you with any Emergency Service Repair / Installation + Green Energy needs! Fill out a Free Service Quote form to receive a free estimate. We have the best local skilled technicians specially trained in quality craftsmanship and customer support! 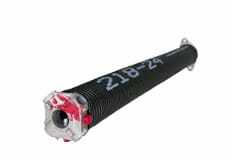 The garage door spring is the most essential part of the garage door system. It helps to maintain the proper tension for the garage door to open and close efficiently. If you have a broken spring, it is never recommended that you attempt to replace it yourself, as you may cause further damage to the components of the torsion spring system, and in the worst case, yourself. There are two kinds of garage door springs that are on the market, the torsion springs, and the extension springs. Although the extension springs are outdated and are no longer produced, some older models of garage doors may still use them. It is best if you call one of our garage door repair technicians to schedule an appointment to inspect your broken or non functional garage door springs. One of the most severe garage door repairs. This happens when the garage door removes itself and it's attached rollers out of the track where it slides up and down vertically/horizontally. This can cause many problems, which can lead to broken springs, bent track, structural damage, cracked panels, broken rollers and many more. If you are experiencing an off-track situation, it is recommended that you leave you garage door put, and keep yourself and your kids away from the door, as it may be unstable, and may collapse on you and your possessions. This type of repair is best to be left for professionals as the tracks keep your garage door secured in its place. Garage door rollers are responsible for smooth, quiet movement of your garage door on the track. These ball-bearing rollers come in many different sizes and quality. Basic doors are usually installed using metal wheels on an axel; more premium garage door rollers can have nylon wheels with ball bearings, and sealed maintenance-free ball bearings. Whichever rollers you currently have, we can replace or repair. If you hear your door making squeaking noises, rattles and shakes more than usual, than it is time for garage door roller maintenance. Most common damage to the rollers comes from weather damage. 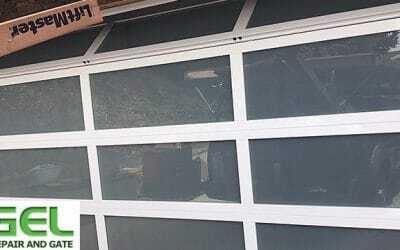 Sometimes it can be caused by off-track garage doors or simply due to wear and tear. Is your garage door opener starting to act up, is your garage door sensors not working and causing your garage to open/close on its own? Than you are probably need maintenance or complete replacement of your garage door opener. There are many brands in today’s market, and it may become difficult to determine as to what kind of opener your garage door may need. We have outlined the type of garage door opener you can have installed on your garage door. 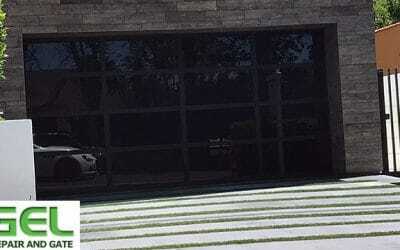 What kind of parts we are able to repair and replace and provide you different recommendation for your specific door. Remember that each new garage door opener installed, comes with a new set of garage door safety sensors, new wires, a remote control, and a push button on the wall. Cables in your garage door are very important. Without the cables, your garage door will be non functional. 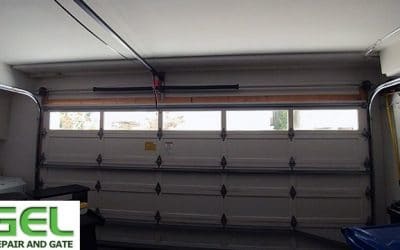 These metal wires work together with the spring system to control the motion and tension of the garage door. Regular wear and tear, weather damage, or human error can cause the cables to fray and snap, fall off the spool, or stretch. When you see any visible damage to the cable, it is best to leave your garage door alone, and call one of our experienced garage door repair technicians to take a look. If you plan to operate your garage door with a damaged cable, you are risking further damage to your garage, which is never recommended. Garage Door Panels are stacked neatly together by multiple hinges, combined to make your garage door appearance. Each garage door is different in size, color, and material. 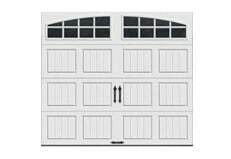 Most panels are either used to create a 16×7 garage door, or 8×7. They come in different colors, and materials such as: Wood, Vinyl, Glass, and Metal. Some of the common damages to a panel may be; hitting garage door with car, weather damage, missing weather strip, cracks and peeling. 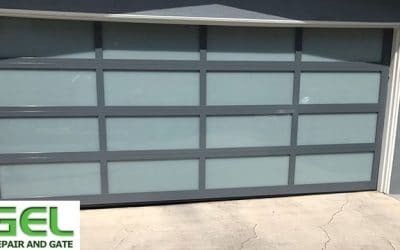 If you are in a need of a garage door panel replacement, or repair, please contact our garage door repair staff, and we will help you out with your garage door panel repair needs. One of our popular services is our Gate Repair Service. Why is it popular? Because we provide quality parts and over 15 years of in-field experience. We have a warehouse filled with all parts for your automatic gate opener repair and part replacement such as gate motherboards, gate limit switch, gate latches, gate intercoms, gate remotes, gate security systems, gate safety loop system, and more! Having quick access to these automatic gate parts mean fast, same day service for you. We also offer gate welding service for anyone who is looking for a quick fix or upgrade. Call us or visit our gate repair section for more information. If you need help to secure your commercial or residential property, than Angel Garage Door Repair and Gate is your #1 choice when it comes to new gate installation. 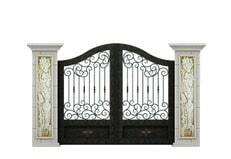 With hundreds of choices available, from metal/steel, iron gate, wooden accent, to modern glass gate, we are able to manufacture and install them. We take care of it all, the underground electrical work, cement work, acquiring city permits, running telephone cables, post and hardware, and upgrading to solar panel gate openers. If you are interested in a new gate installation and or have questions about this service, do not hesitate to give us a call! ◦ We Repair, Replace, and Expand! ◦ Multiple options & manufactures! We also provide safety services and solutions for energy consumption reduction. Why choose Angel Garage Door Repair ? Learn more about our garage door repair and gate company and the services we provide! Our professional staff will give you the proper assessment before we perform any kind of repair, we will provide you all of the proper documentation to validate our work, and can offer you a ‘extended 2 year warranty’ on some of our select repair and installations services at an affordable price. All of our repairs are a ‘Same Day’ service, so when we arrive to your emergency garage door or gate situation, expect us to fix it that same day. We also provide FREE estimates on ALL of our GARAGE DOOR and GATE REPAIR and INSTALLATIONS. But of course, there are some exception, give us a call today at (877) 616-7770 to schedule or get more information on our repair services. Quality, Experience and Professionalism are some of the words that describe our garage door and gate repair service. From the initial phone call, to the actual repair / installation, you can be certain that our talent and experience will win over you business over and over again. With hundreds of thousands of successful repairs, there is a reason why our business has been rated as ‘top notch’ garage door repair company all over the nation. We use the best garage door manufacturer company’s parts in our industry to replace or repair a specific garage door problem, so you can rest assured that our work will last for ages to come. Have you ever had an emergency situation, where you had to go to work or take your kids to school and had no where to turn to? Well Angel Garage Door Repair and Gate understands. We have one of the fastest response rates compared to other local garage door and gate companies. With as fast as 45 minutes (2hr maximum) of arrival time you can be certain that we will get you in and out of the trouble that may be in. Many other garage door companies may use outside contractors that are not certified and have little to no knowledge as to what kind of work they will perform, resulting in low quality performance and longevity. We have decades of experience in ALL garage door and gate situations, from basic garage door remote replacement, complicated garage door spring system installation, WiFi enabled garage door opener configuration, to solar gate repair/installation with high quality parts; this means that you will always get the best and cost effective solutions to specific to your needs. Why wait and shop around? 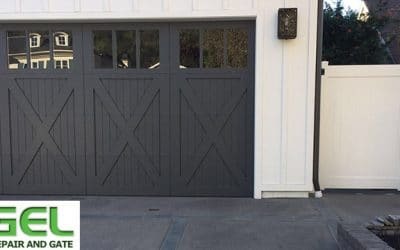 Give us a call right now and ask a representative what Angel Garage Door Repair and Gate can do for you, if you wish, we can even have our field technician give you a free over the phone consultation to save time and provide you information to help with your decision, better yet, ask how you can get a FREE in-person garage or gate estimate. Looking to find a service location? ◦ We service all residential and commercial locations. ◦ All type of repairs, from condos to suburban homes. ◦ Fast repairs with high quality materials available same day. ◦ Multi-year infield experience repair technicians on stand by. ◦ Planning for large installations and consultations are available. We have local service locations near you!